Not many of you may know, but I am a huge fan of Agatha Christie. 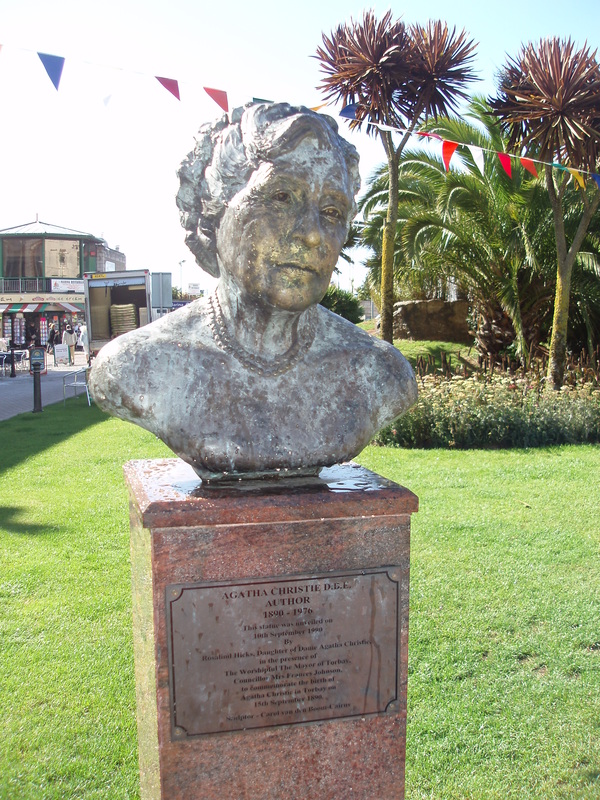 She got me hooked on the genre and a few years back, I went to a festival which is devoted to her, her writing and her home in Torquay on the English Riviera. 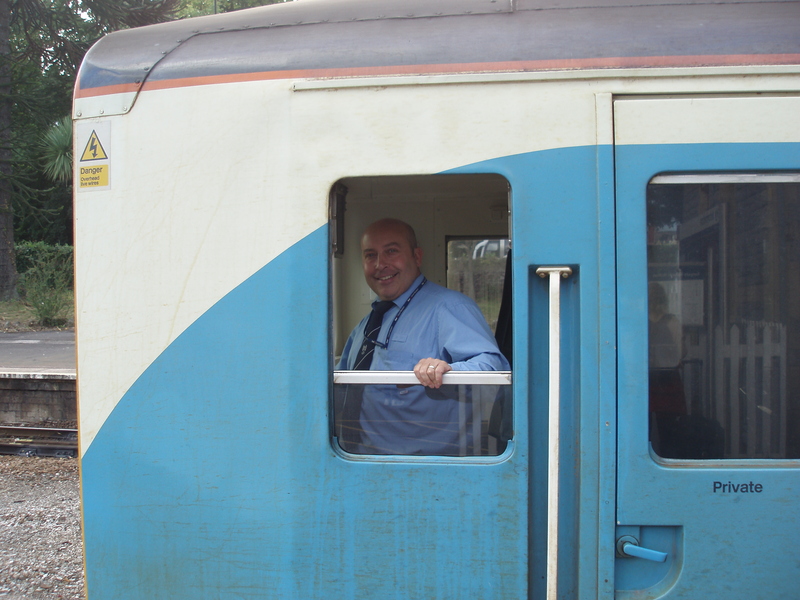 Just pulling into the station feels like you are in another world. 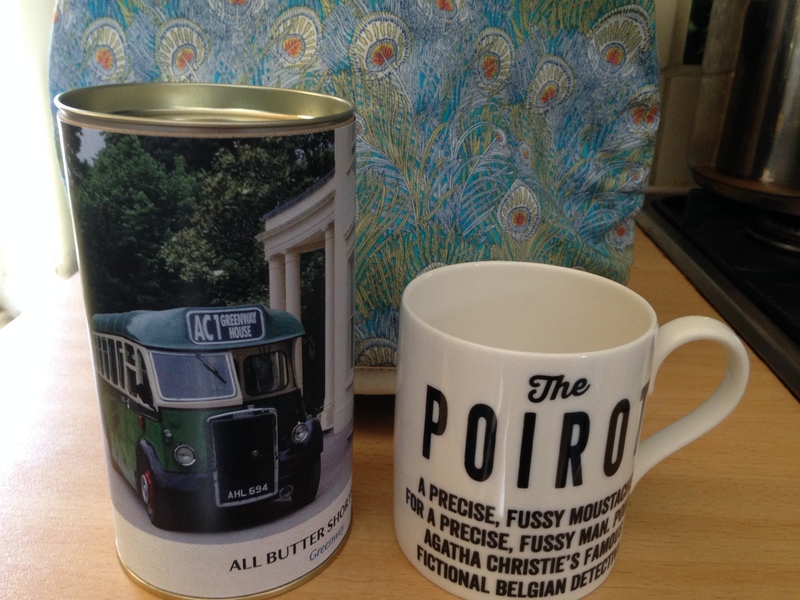 My Christie themed tea with a friend – John loves Poirot – wants to get a cane like his! with a friend who had just been there, so we got to talking… and, to be honest, I just love Agatha – she’s great. I’ve read her autobiography and the book ‘Secret Notebooks’ by John Curran – this book is about trying to translate her notes on what she was writing or planning to write. We, even got to meet the author of this momentous task and he signed our book. She wrote her ideas in her own shorthand which only she could read, not even her family was able to read these famous notebooks. 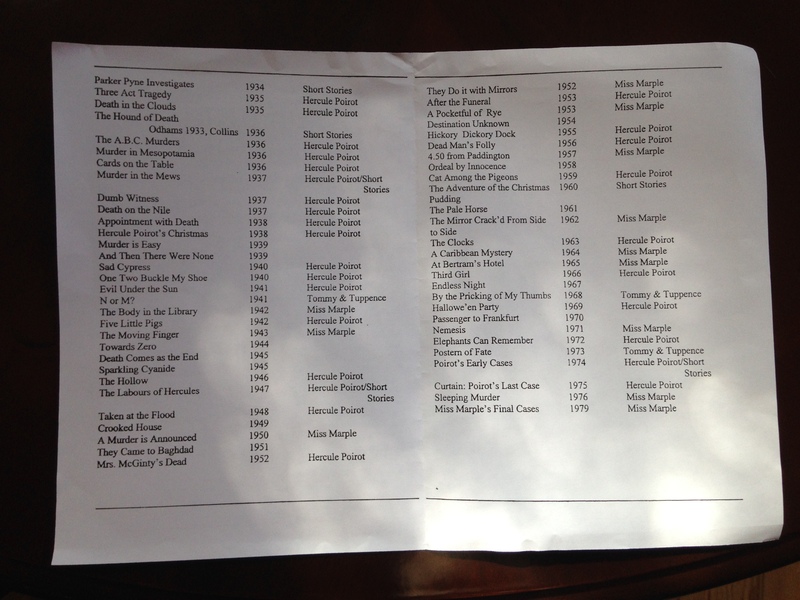 Plus, I’ve now go a big photo of her on my wall to inspire me – you see, Agatha was not properly schooled like we are today, so her achievements as a writer are even more remarkable to me! Back to Torquay and the English Riviera. This is a beautiful seaside English Town and I can really see why it’s called the English Riviera because when the weather is nice, it’s truly the English seaside at its best. Even in dull and rain, it’s still beautiful, but it really shines when the sun comes out. As I said we went for the festival, but that doesn’t mean there is not lots to do without it, it was just our main push. 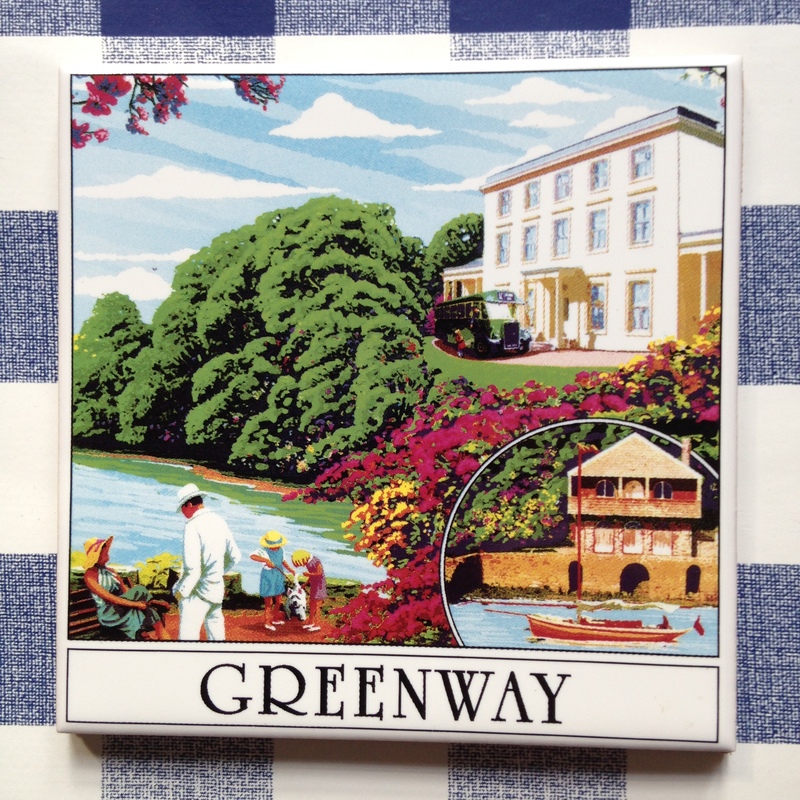 The highlight for me was going on a special, behind the scenes tour of her house – Greenway. When we went, the National Trust (the National Trust is a protection society for old properties of significant British heritage) had just finished getting the house ready for the public, as it’s not been accessible for long – she has a grandson who owns the inheritance on her estate. So he finally has set the house up as a museum and what a museum, it’s like you are going to see her come around a corner at any moment. It feels so lived in and alive. They even have all her cloths that she wore on display – what a magical tour. It is said that when she was a young girl growing up in Torquay, she went by this house, on the waterway in front of the house, and had said how much she had always wanted to live there, but she never knew much about the house. Then she left Torquay as an adult with no intentions to return, but when she started making money with her writing, she found out the house was for sale and bought it and it’s estate. One of my secret desires in to play Miss Marple when I get older – just putting it out there! Ya never know! At least for now, I’ve done a few murder mystery gigs, which I just love. 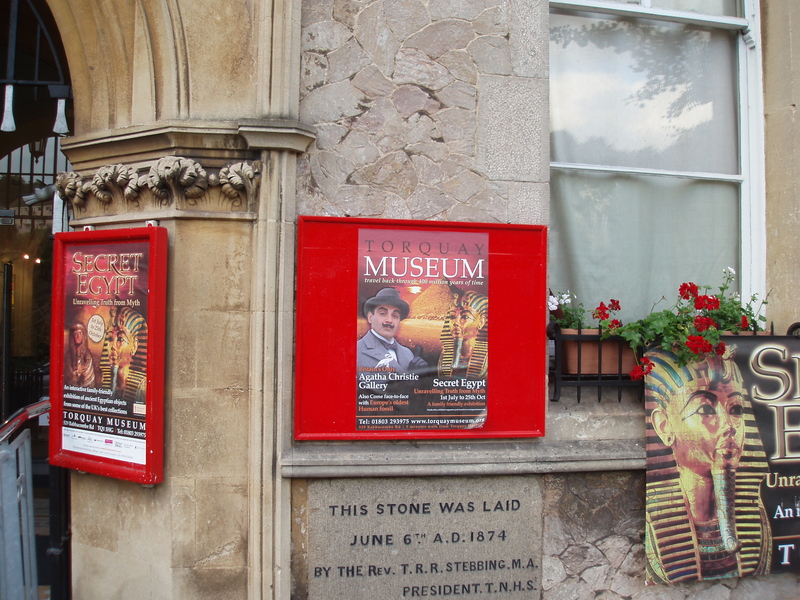 We went to various events at the local museum, all with the Agatha Christie themes running through them. 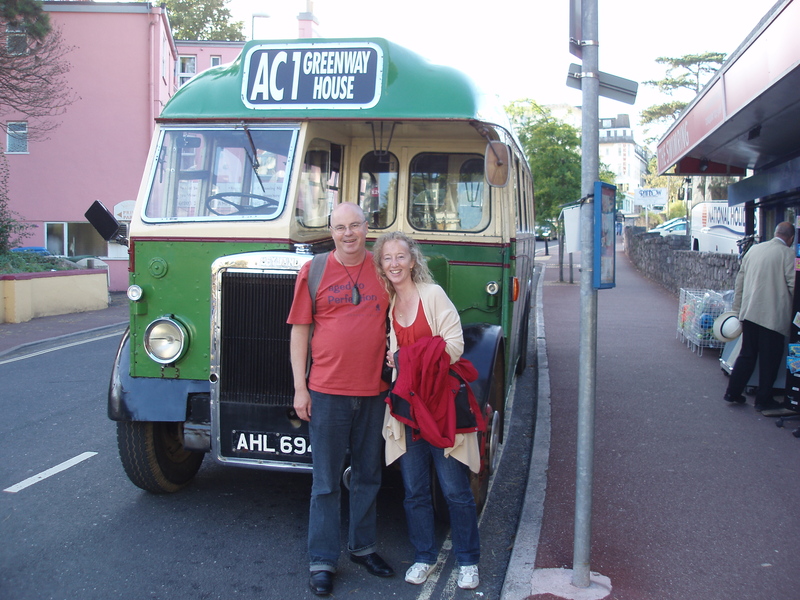 A highlight was going on a tour on an old green bus with a tour guide that had never read her books, but seemed to know a lot about her life and times in the area – very odd combination, but still very informative – he said he loved history, not murder mysteries! There was a gorgeous walk along the coast, past a very famous hotel – The Imperial Hotel – we had some tea here overlooking the water – beautiful – where we got sun and soaked in the same 10 minutes – ah, the English weather – a favourite topic here. It’s all about layers! 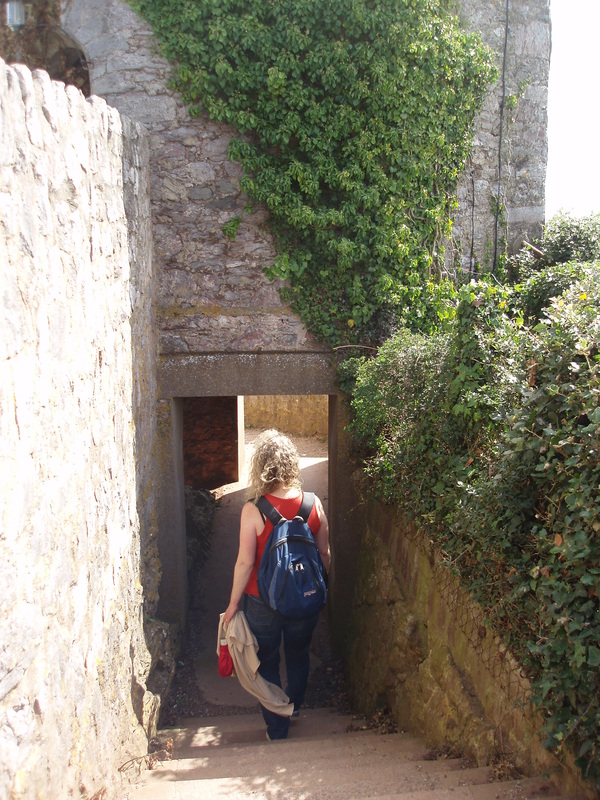 Still, this was a great way to see parts of the town and see how much there is to see and do. There’s some great shopping at the local market, we got our lovely bed spread at the market. It’s a great place to go, if you get one of those crazy English rainy days. Also in the area are some great artisan shops where we found all sorts of lovely little items and beautiful gold rings – wear them everyday! 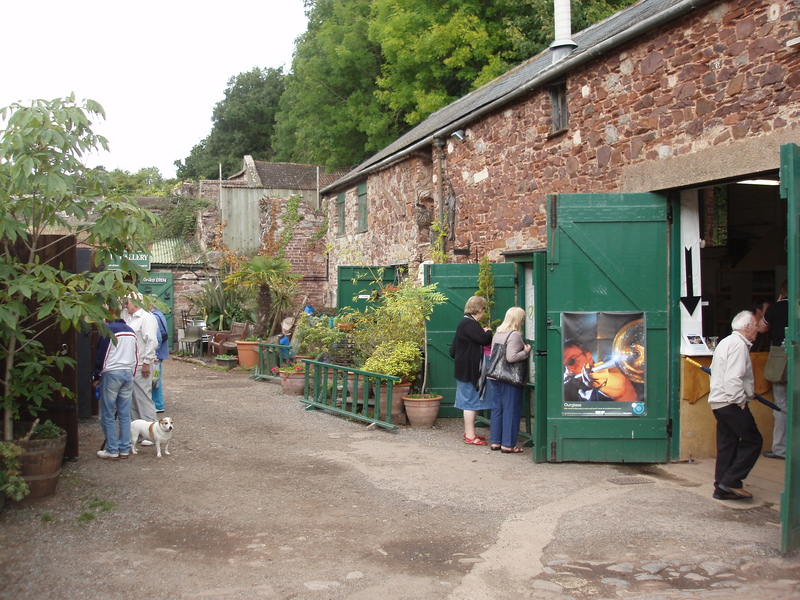 Artisan shops in old stables – get all sorts from goldsmiths, metal work, clothing to hand-made chocolates. 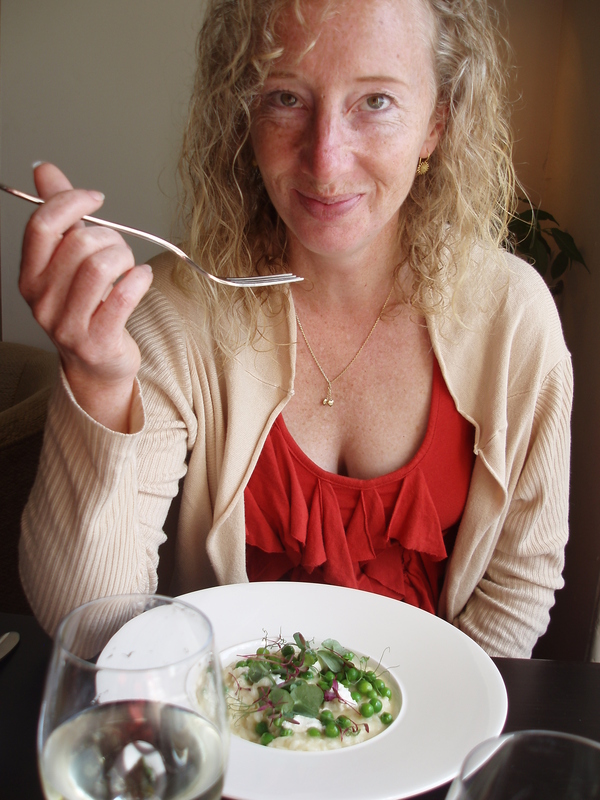 Food is stellar, there was a Michelin star restaurant – The Elephant which we had a fabulous lunch. We loved Torquay and I would definitely go again, even if the festival isn’t on – I, sooooo want to go back and get to the famous hotel – Burgh Island, where some of her books have been set….but for this one, you must have it set up well in advance and have your pennies in a row – it’s quite expensive, but so want to give myself that treat or, they, can always have me stay and I’ll write-up a blog on my experience of this incredible island hotel with a murdering past! Anyone got any contacts for me?! Do they need a singer to perform? I’m available! Just to note, we stayed at the Elmdene BnB – apparently, it’s won awards since we’ve stayed! Do you have a favourite place in England you’ve been to? Love to hear about it! Any ideas for future topics you’d like to hear about, let me know and I’ll see if I can do a future blog on it, just comment below! Just to point out that it is Miss MarPle (not MarBle), which I’m sure you knew.